"The slide occurred near Fairy Lake in the Bridgers. Specifically, it occurred on a NE face just below the first set of switchbacks on the summer trail, where the slope steepens significantly. I was out early touring solo hoping to catch sunrise from the bowl. 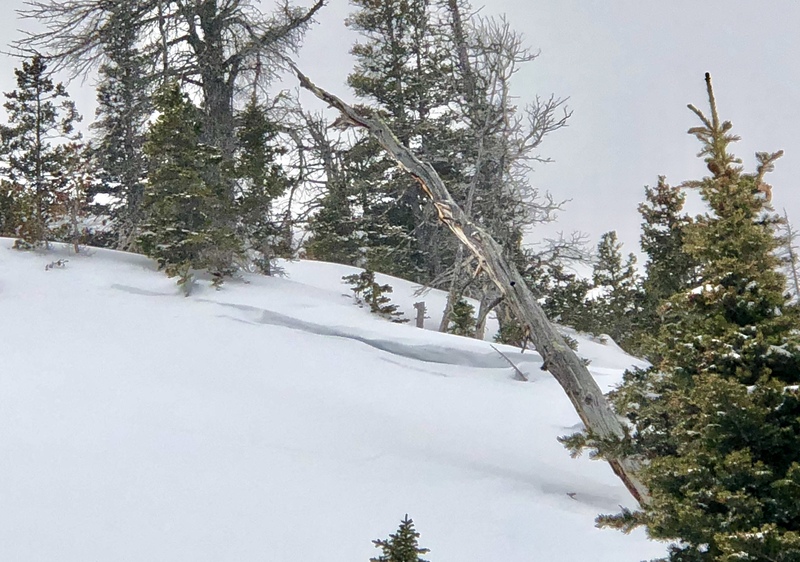 I'd just started traversing north along the base of the face when I saw a small slab release behind me which sent some sluff across my tracks, I turned to descend to some lower angle terrain, and saw another small release (20-30ft wide) in front of me. As I started to descend the whole face let go from about 150ft above me and funneled towards me. It carried me about 100ft downslope, luckily through an open patch in the trees. I was buried up to my chest, with both my arms free. From what I could see from the bottom, the crown looked to be about 4-8 inches tall, and was about 200ft across."